If you’ve been injured in Miami and you are an immigrant, your rights, responsibilities, and protections may be different than those afforded to citizens. While most people who have been injured seek recovery through personal injury claims, immigrants may have many factors to consider before they make the decision to pursue a lawsuit. According to the Legal Intelligencer as many as 8 million illegal immigrants may be part of the labor force. These individuals often perform hard labor in dangerous industries, including agriculture, manufacturing, and construction. Because many workers in these industries fear deportation, they may not seek legal remedies when they are injured on the job. Immigrants who have been injured while driving also face similar challenges as they may fear taking their case to the civil court system. After all, what happens if they are asked about their legal status during a trial? Could they face deportation? The issue is somewhat complex. In many cases, individuals who face deportation may be able to apply for parole or a stay of removal using recently-passed immigration protections. However, not all people qualify for these protections. Personal injury lawyers in Miami who are handling these individuals’ cases may sometimes refer these clients to immigration lawyers to ensure that they are protected. Attorney client confidentiality protects individuals who inform their attorney about their immigration status. Questions about immigrations status are best answered by immigration and naturalization attorneys. So, individuals who have suffered a personal injury either on the job or while driving may be wise to speak first to an immigration lawyer before they speak to a personal injury lawyer about receiving compensation for their injuries. That said, individuals do have the right to be compensated for personal injuries, whether or not they are U.S. Citizens. This means that if you have been injured in a car accident or on the job, a personal injury lawyer can assist you in getting the recovery you deserve. Individuals who are working as independent contractors and who are not legally entitled to work in the U.S. may be able to pursue their employer for injuries outside of Worker’s Compensation. The circumstances of your employment will have to be taken into consideration in order to determine what claims you are qualified to make. If you are an immigrant and have been injured, you’ll have to decide for yourself whether it is prudent to seek compensation for your personal injuries in civil court. 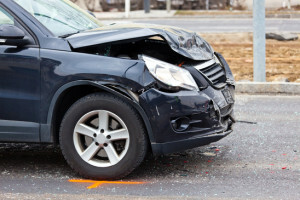 However, it is important to understand that you have the right to seek compensation for damages and injuries you have suffered in Miami, Florida. The Wolfson Law Firm, L.L.P. are personal injury lawyers who may be able to assist you.